AN expat with Down Syndrome has become the unlikely star of an English cathedral. 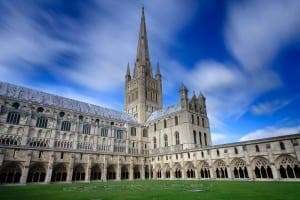 Reuben Coe, the man behind the recently launched Reuben’s World blog, has seen his handwriting used as the font for Norwich’s historic cathedral. Billboards and posters for its new educational programme will all use Reuben’s personal writing style, after it was spotted on his blog. 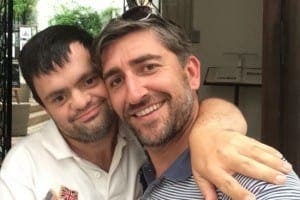 Torremolinos-based Reuben, 32, moved to Spain from the UK to live with his tour guide brother Manni three years ago. He has since lost weight, gained confidence and fallen in love with ‘Spain, the food and the beaches’. So happy was he, in fact, that Reuben decided to start the world’s first blog directly written by someone with Down Syndrome. With help from Manni, who runs Toma Tours, he launched his blog last year. The innovative idea to make Reuben’s handwriting a downloadable font has proved very popular, picking up admirers overseas. “He is a little star!” commented Manni. “His handwriting is carefully crafted and captures his sparkling wit and charm.